From Rabbi Aaron Rakeffet, respected Torah scholar, prolific author, and beloved teacher, comes a beautifully written and fascinating scholarly memoir. Beginning with his childhood on Washington Avenue in the Bronx, he writes candidly of growing up in a post-World War II world where Lithuanian Torah scholars were transplanted to the soil of twentieth-century America, of the ideological clashes between Hasidim, Mitnagdim, and the modern world, and of his personal encounters with dozens of well-known Jewish personalities including his rebbe, Rabbi Joseph B. Soloveitchik. 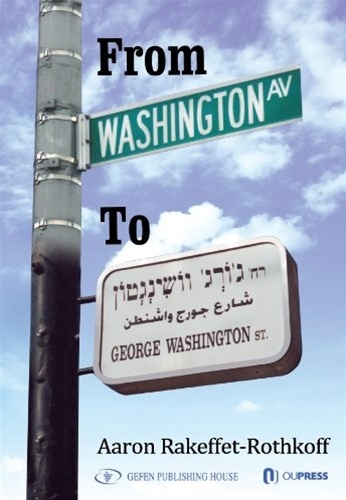 From the world of Yeshiva University, to aliyah to Israel, to becoming a key player in teaching Torah in the refusenik Russian community, Rabbi Rakeffet writes his well-researched memoirs with candor, tremendous insight, and a great deal of humor. With the cancellation of the security clause, he is able to narrate the fascinating inside story of the covert emissaries sent behind the Iron Curtain.